Often referred to as the Castle on the Corner, this exquisite property is one of Covington’s finest homes. Proudly sitting on the corner of Levassor & Greenup, this late Queen Anne Victorian was built to impress. 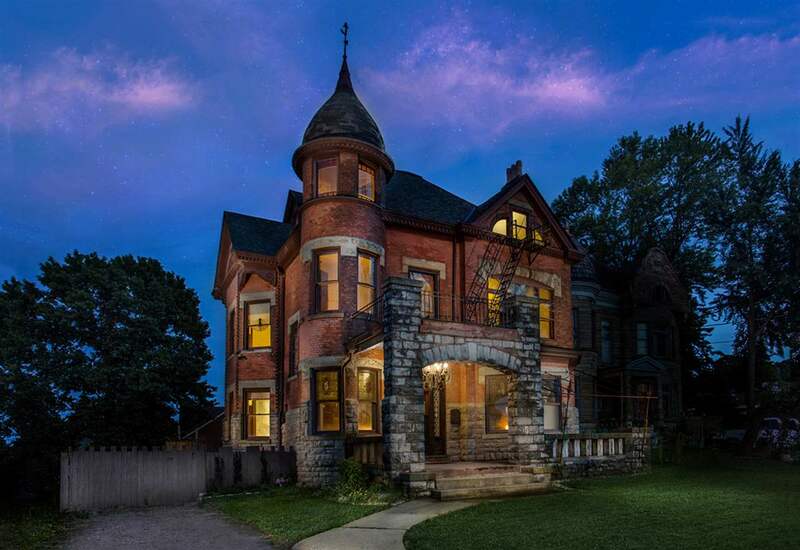 6-bedrooms, rare curved glass, original stained glass, intricately hand-carved oak newel post & staircase, multiple pocket doors, oak wainscoting, 7 fireplaces w/ unique carved mantels. NOTE: This property was sold on 11/8/2018 and is no longer available. The details listed below are believed accurate to the date of the sale and are subject to change.